Happy Friday and for many like myself happy long-weekend Friday! 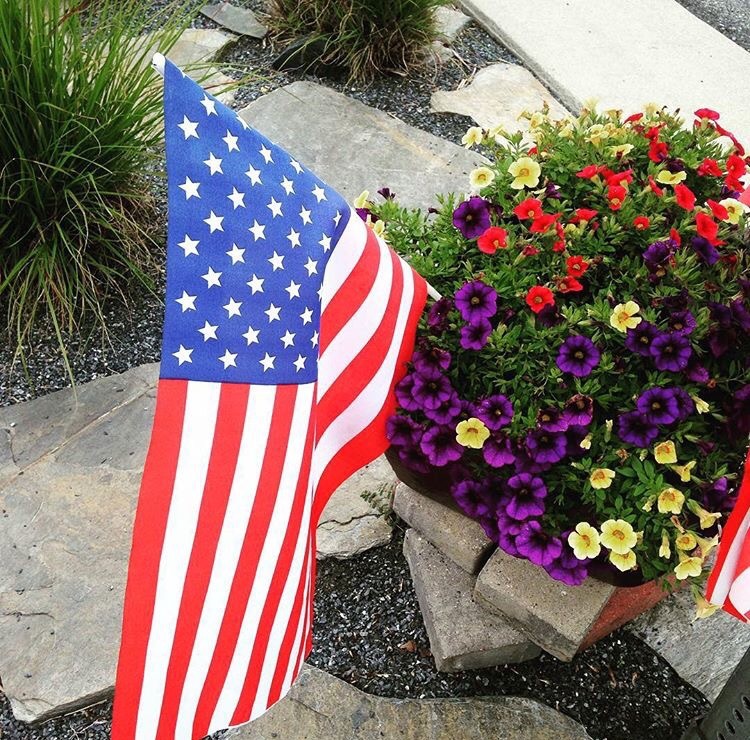 With Memorial Day Weekend upon us and the weather finally cooperating it’s easy to jump right into summer BBQ Mode but please take some time and remember the real reason for our long-weekend. It is awesome that little #1 came home from pre-school the other day and reminded me about Memorial Day and that it was a special holiday! 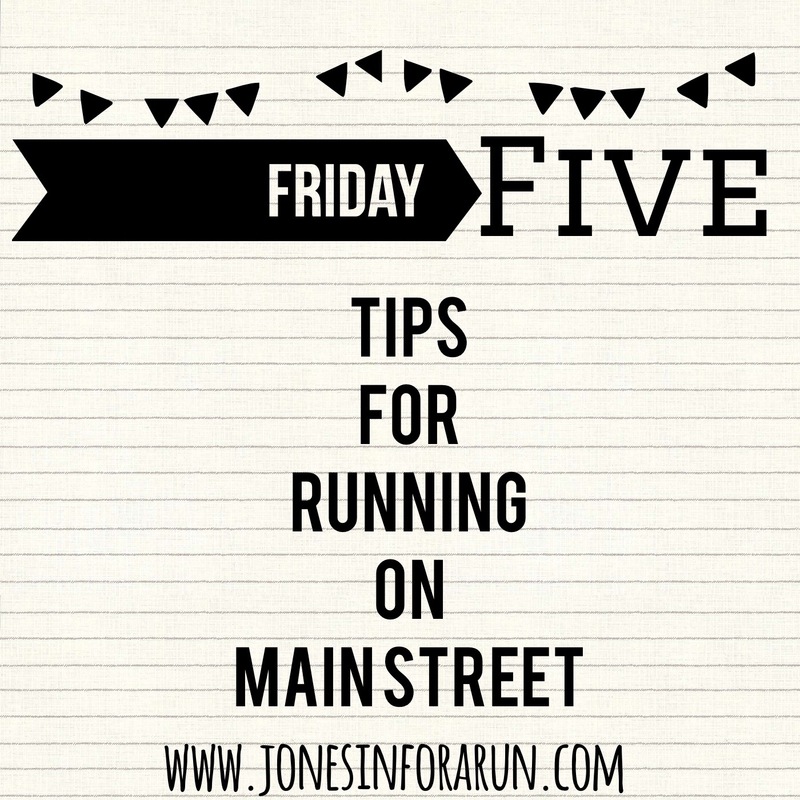 For today’s Friday Five I am linking up with Courtney, Cynthia and Mar to share with you 5 Tips for Running on Main Street. I live in a little town that frequently gets very busy during certain hours. Having three schools within a 2 mile radius, the town population triples for a handful of hours each day, which turns our usually slow, little town into a busy little place and what I call “small town rush hour”. While I am very aware that our “rush hour” is no where near that of a big city rush hour you also probably do not see many runners heading out for a few miles in the bumper to bumper traffic on the freeway or interstate. In my town with many little intersections and side streets it has often made me think how important runner safety is- even with a speed limit of 25 for the cars on my running route. 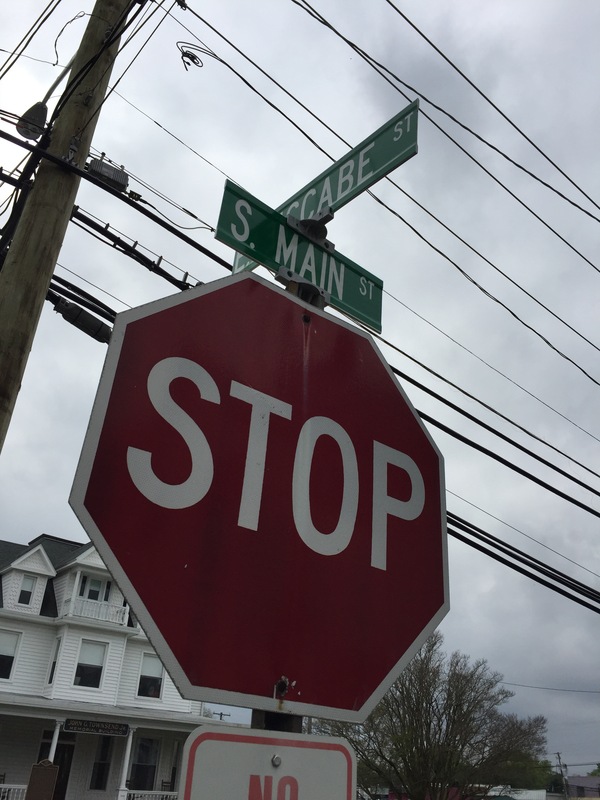 Today I will share 5 tips that I always keep in mind when running on Main Street! Your outfit can never be too bright. Take all necessary measures to make sure others can see you from far away or close up! I try to always make sure I save my “highlighter” tops when heading out of my neighborhood towards town. Even though I am on a sidewalk the entire time being seen is very important and necessary! Never assume the vehicle is going to stop. When crossing an intersection I always try and make eye contact with the driver of the vehicle. Even when doing this there is still no way of knowing if they are going to stop and wait for me to cross or if they are going to proceed. If I do not get the go-ahead wave from the drive- I wait. I would rather be safe than sorry. One headphone is better than two. I love listening to music when I run (most of the time) but I always settle for ONE ear bud instead of two when running through town. It is important to still be able to hear those crazy dogs barking at you that may jump over the fence and chase you(this obviously happened) as well as cars, others walking or those biking. Try and avoid “rush hour” or the busiest times in your town. One week day I was lucky enough to 1. sleep in (a little bit anyway) and 2. get a run in before heading to little #1’s field trip. I decided to head out through town because the neighborhood loop was getting old. As I was out on my run it was school drop off time. As I mentioned we have 3 schools in our little neighborhood and things were busy! I did encounter a few crossing guards that were nice enough to hold traffic for me but what I did also encounter is a lot of people in a rush. I made sure to take my time and make sure I made it from street to street safely! My time for the first half the run was pretty slow because of all the stop and go I encountered. As I was headed back to my house from my run the same small town turned into a ghost town with hardly any traffic- just the way I like it! Always be on the look out for change! I have the most luck finding change when I hit the town for my runs. People seem to be pretty careless with their change in the parking lots and sidewalks throughout my town and I am sure the same is true for yours! What tips do you have for others when running on Main Street? Be sure to check out the other posts for today’s link up! yes, you definitely have to be a defensive runner and not assume the right away.. some people are craaaazy in their cars, not to mention SO distracted!! 100% must be a defensive runner!!! You should! I have found quite a bit of change while running!!!! I keep a tally and share it with my readers on the my Month-End Madness posts!